It's actually a lot easier than you may think. Because in contrast to Gibson or Fender, Martin the serial numbers simply used in sequence starting 1898. An exception are the electric solidbody guitars. By means of the serial number of your Martin can therefore quite precise date of production be determined. 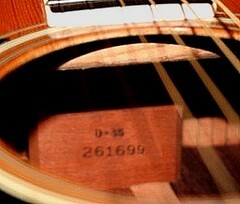 Look in the sound hole in the direction of the neck and you see on the neck block model and serial numbers are stamped. Above: model. Below: serial number. 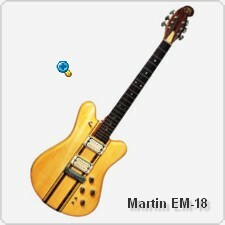 An exception to the order set of serial numbers and production year are the electric solidbody guitars E-18, EM-18 and EB-18 bass, produced from 1978 to mid-1980.